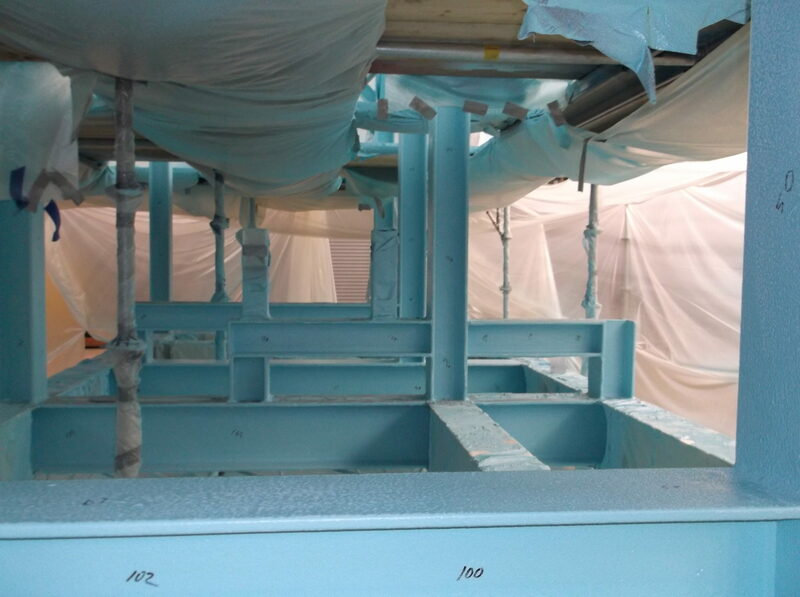 Passive fireproofing (PFP) installation is on the rise in industry as our Customers seek solutions to potential structural failures associated with catastrophic fire. Intumescent passive fireproofing is new technology designed to reduce the spread capability of fire that combines the fire protection of cast-in-place concrete or light-weight cementitious fireproofing with the flexibility, increased ease of application, and corrosion resistance of a protective coating. 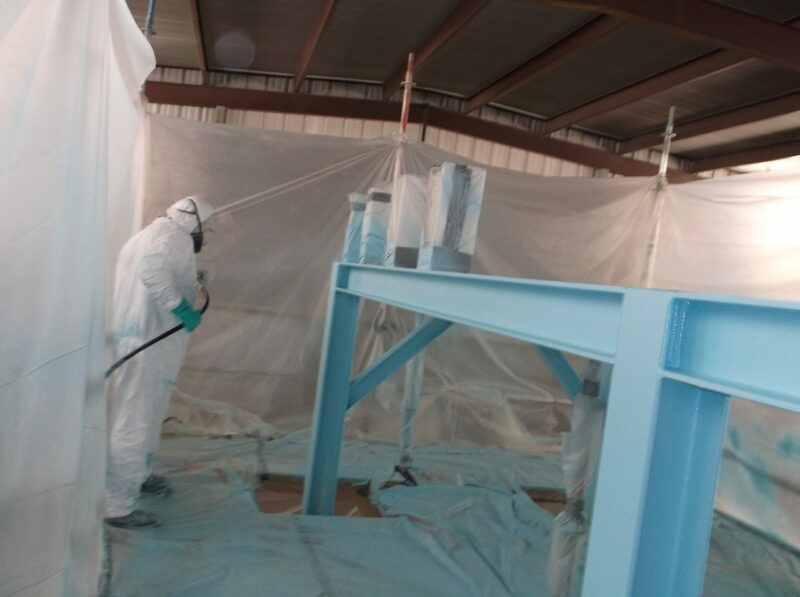 Travis Industries is a certified applicator for a variety of intumescent fireproofing product manufacturers, and has the equipment and expertise to apply those products via hand trowel, single-stage ram pump spray, or heated plural component pump spray. Whether for commercial (thin-film) or industrial (fabric reinforced, high-build) applications that are performed either in our facilities or yours, we are ready to meet your needs with the technical expertise and qualified craftpersons to yield a high-quality and cost-efficient solution.